Audi has introduced the hummingbird as a metaphor for the new Audi A6 Avant’s ultra-lightweight construction, symbolising agile and efficient performance. 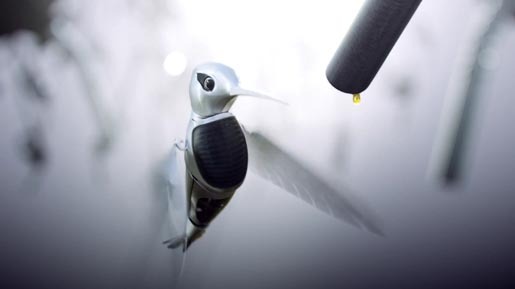 In the commercial released in the UK a metal-framed hummingbird flies nimbly through a surreal landscape populated with trees, flowers and fauna made from petrol pumps, road signs and traffic cones. The metal-framed bird boasts design elements that echo the A6 Avant, right down to its breast, which replicates the distinctive Audi grille. The Hummingbird ad was developed at BBH, London, by creative directors Kevin Stark and Nick Kidney, creatives Paul Yull and Adi Birkinshaw, agency producer Ruben Mercadal, team manager Polly Knowles and team director Simon Coles. Filming was shot by director Daniel Barber via Knucklehead, London, with producer Matthew Brown, director of photography Stephen Blackman. Animation was produced at The Mill, London, by lead 3D artist Tom Bussell. Editing was done at The Whitehouse Post by editor Adam Marshall. Sound was produced at Factory, London.